Biryani Rice (mild) Rice! Rice Baby! 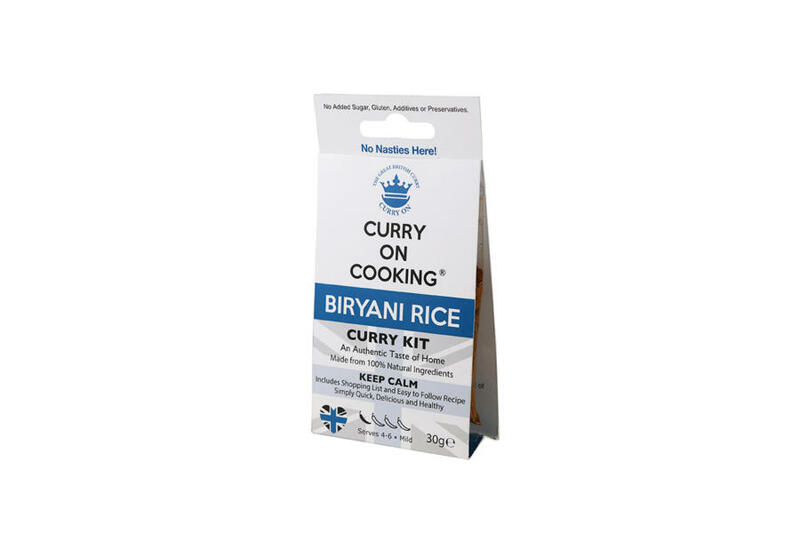 Biryani Rice is an Indian classic rice dish which can eaten on it’s own, with a Curry On Cooking spice kit or a sauce of your choice. Add vegetables, meat or fish. Sea Salt, Turmeric, Paprika, Nigella, Mustard Seeds, Cuim Seeds Ginger, Coriander, Fenugreek Leaves, Cumin Cinnamon, Black Pepper, Cloves. 1 review for Biryani Rice (mild) Rice! Rice Baby! Made this to have with a curry, was a great improvement on plain boiled rice but not much more effort to prepare. Thank you for leaving a review. A Curry A Week Buy 48 Kits Get 20% off!